Slavery has existed almost as long as humans have been on the earth. In the ancient Roman world, and throughout history being “on the auction block” sold into slavery, brought fear, despair, hopelessness. A person’s destiny, freedom, life, even their family was no longer in their hands, but in the hands of the highest bidder. In the western world of the 21st century the idea of slavery, whether it is human trafficking, governments that deny liberty and freedom, or the dark past of our nation, is looked at with disgust and revulsion. As well it should. It is an affront to human dignity, and clearly contrary to Biblical principles on many levels. As I sat in church this past Sunday the pastor spoke these words. “There was a time when we were all on the auction block”. This is the slavery that affects and infects every man, woman and child born on Planet Earth. Even those of us who enjoy the freedom we have in the United States. It is a slavery that began with the sin of Adam, and continues to this day. But God, looked down on the world and saw us all on the auction block of sin. But God, loved us so that He gave His Son, Jesus, to stand on the auction block in our place, and pay the price of the bid on the Cross for all of us, that we might go free. What will we choose? Will we remain on the auction block of sin, preserving our will against all else refusing the freedom we are offered? Or will we choose to be free, surrendering our will to the One who makes us free indeed? 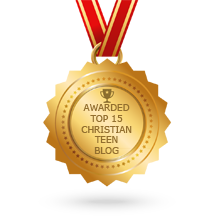 This entry was posted in A CLICK A BLESSING TODAY, CHRISTIAN TEENS BLOGS and tagged Auction. Slavery, freedom, jesus. Bookmark the permalink.